Quality and Consciousness. Artifact Uprising Operates Around Core Values. Print is powerful. Photo-inspired printing products represent a great niche for companies that want to leverage the capabilities of digitally printed products. 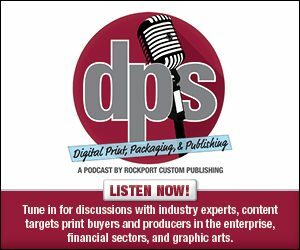 However, to avoid becoming a commodity provider that competes on price alone, many successful photo printing businesses offer unique, high-quality products that stand out from the competition. Founded in 2012, Artifact Uprising is a Denver, CO-based lifestyle brand, which the company says is driven by the belief that everyone has a story. What better way to tell these tales than through photographs. It aims to honor the meaningful moments of life through printed, photo-based gifts and books. “With a focus on high quality and elevated design, we help make permanence of what matters most,” shares Melanie Robertz, product marketing, Artifact Uprising. Starting as a basement operation, today a team of 40 employees work out of offices in downtown Denver. The company produces a variety of photo products including photobooks, wall art, prints, and photo-inspired gifts. The company’s heirloom-quality Layflat Photo Album and its Hardcover Photo Book are staples within its photobook line. Design, marketing, customer service, engineering, and production expertise are performed in house, while also working with partners across the U.S. to help bring its products to life. Above: Artifact Uprising utilizes digital printing equipment to produce its photographic output, primarily using production printing technology from HP Inc.
Artifact Uprising is heavily influenced by the environmental elements that go into its offerings. A very ecocentric company, these values drive its mission and products. It uses recycled paper as well as reclaimed wood. “We care greatly about both the quality and environmental impact of the papers we offer,” shares Robertz. Because of this core business value, it intentionally selects paper composed of recycled fibers for the interior pages of its hardcover and softcover photobooks. The current paper selection is Mohawk Options Paper. Robertz explains that from the start, Artifact Uprising recognized the narrative that could be rewritten in its own backyard, the story of mountain beetle pine. Finding beauty in reclaimed wood, it teamed up with a local woodworking company, Azure Furniture Company that manufactures furniture built from trees affected by mountain pine beetles in the Rocky Mountain Forest. Using pieces that would otherwise be discarded in furniture production, they are used to manufacture products like its Wood Calendar and Wood Block + Prints. The wood features a uniquely grayish-blue color, which serves as reminder of new purpose in an otherwise storied past. “Occasionally you’ll find a storied spec of this paper’s past from the recycled fiber within—we see these as beauty marks of a better choice for the environment,” shares Robertz. Artifact Uprising utilizes digital printing equipment to produce its photographic output, primarily using production printing technology from HP Inc.
Turnaround times vary. To maintain its quality standards, production times differ between products. Photobooks generally range from three to eight business days, while prints and cards are about two to three business days, and wall art between two and five business days. Shipment times for orders begin after production. In terms of finishing, the photo printers tend to use flush mount materials. The Artifact Uprising’s website explains the process, noting that each page has a glue sheet inserted to make the page extra thick. The pages are secured around the spine and placed into the cover, which is then adhered to the outer side of the end sheets. In its layflat photo albums, each page is approximately .04 inches thick. The minimum book is 20 pages and .625 inches in thickness. The maximum book is 70 pages and 1.625 inches in thickness. Because the photo paper has an easy sheet inserted to create a flush mount photo album, the pages are not measured in gsm. Its softcover and hardcover book products use PUR binding due to its durability and compatibility with digitally printed output.